I love instrumental music, in particular anything orchestral–and especially soundtracks that carry me inside favorite stories and remind me of all the things I love to feel and see and experience while inside those stories. 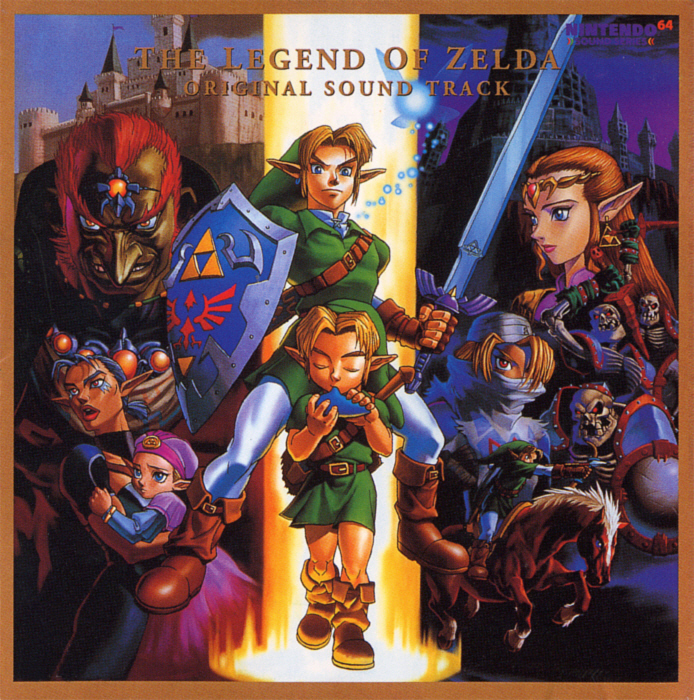 Over the past few months, I have quite quickly accumulated a collection of arrangements of songs from two of my favorite video games of all time: The Legend of Zelda: Ocarina of Time and The Legend of Zelda: Majora’s Mask. These games, as well as those that followed in the series, have provided great inspiration to my writing, particularly in my younger years. It is through this series I developed a love of exploring vast fantasy worlds with unique, diverse races and quirky characters. Thus, in my recent boredom combined with my recent explosive creativity, I decided to finally compile these songs into two coherent soundtracks and share the songs with you. None of these songs are of my own creation; the original composer is Koji Kondo of course, but I found arrangements of many of the games’ songs on either Youtube or Newgrounds from various artists who are masters at coming up with some of the most beautiful arrangements and groovy remixes. I am going to separate this playlist into three posts, just as I separated the songs onto three CDs. The first disc I made ends as Link pulls out the Master Sword, Ganondorf arrives–and then Link is sealed inside the Sacred Realm. It is quite a dramatic moment to end Part One on, and the timing worked out perfectly! Disc two will begin with Link as an adult, and Disc Three will begin once he is ready to return to the Temple of Time, meet Zelda, and fight Ganondorf to save Hyrule. I’d like to thank the following artists whose songs feature on my playlists; if I have left out your name or given any misinformation about which songs are yours, please feel free to send a message correcting me! On that note–no pun intended–let the listening begin! I grew up listening to classical music and have to say it is my favorite genre to this day. From pieces by more traditional composers like Beethoven, Mozart, and my personal favorite, Tchaikovsky, to pieces from more modern composers, like Nicholas Hooper, Alexandre Desplat, John Williams, Howard Shore, and all those other amazing soundtrack composers, no other type of music induces quite the same level of inspiration, magic, and strong, real emotions for me. I’ve chosen to feature Vaughn Williams this week because, while he may not be my favorite artist overall, he did compose what has been my favorite piece of music since I first heard it as a young child and always will be till the end of time: Fantasia on a Theme by Thomas Tallis. I suppose I was somewhere around ten, eleven…twelve perhaps when I first heard Fantasia. My aunt had gotten me this little radio with headphones, and I accidentally happened upon our local classical station; I didn’t know such a station existed, so I was happy at that discovery alone. But I will never forget the magic of the first song I listened to on that station. It was Vaughn William’s Fantasia. I lay in bed, listening, and as I listened, the entirety of the magical garden of Kezia the Fairy from the Legends of Surprisers series I was writing at the time unfolded before me, and it was beautiful, real, almost tangible. From then on, whenever that song would come on, I would stop, listen, and let that beauty take hold of me again. Then, one day, at long last, I found a CD with Fantasia as one of its songs. It is actually a great dream of mine to someday hear and see this song played by a live symphony; from my research, it seems like this is done mostly in Europe. Ahh, perhaps someday when I am able to go overseas and see castles and other wonders I will be able to hear this song as well. Presenting “Heart Song,” the first song in my project “HeartScapes,” which will include several songs composed and recorded by yours truly. Like a teasing, melodious drum. With its soft, forgiving hum. Like an aching that I miss. Luring me back inside your world. Got JOY? Support TWO Musical Causes by buying a tee-shirt today! Got JOY? Support TWO Musical Causes by picking up a tee-shirt from my first-ever teespring campaign! Campaign ends June 15, so don’t delay–spread some JOY today! Cameos, courtesy of Juxica Baroque. I can now start uploading the songs I’ve recorded to Youtube and other sites! “Schulze Sings” is for covers, and “Heart Scapes” is for originals. I’d like to take the chance to share some of my original compositions. It’s been ages since I composed, but I still hold onto these gems created in Finale to accompany my books. A song inspired by one of the short stories in my Legends of Surprisers collection. A song from my personalized children’s book, Song Quest, published with BookByYou. An original composition inspired by Book 4 in my series, The Gailean Quartet, where music plays an important part in many of the magic and fantasy elements. A short but bright, whimsical piece inspired by Zale, one of the four dragon-ruled dynasties from Bloodmaiden. A fun little tune accompanying my Christian/Fantasy book, The Pirates of Meleeon. This song was originally one I came up with as a kid to accompany an adventure story I’d written with talking dogs and cats, along the lines of Homeward Bound and similar classics. The lyrics eventually made its way into Bloodmaiden, a much more serious, YA fantasy novel. I’m getting ready to release the second edition of Bloodmaiden this upcoming March. I sing this little song. I already know my past.